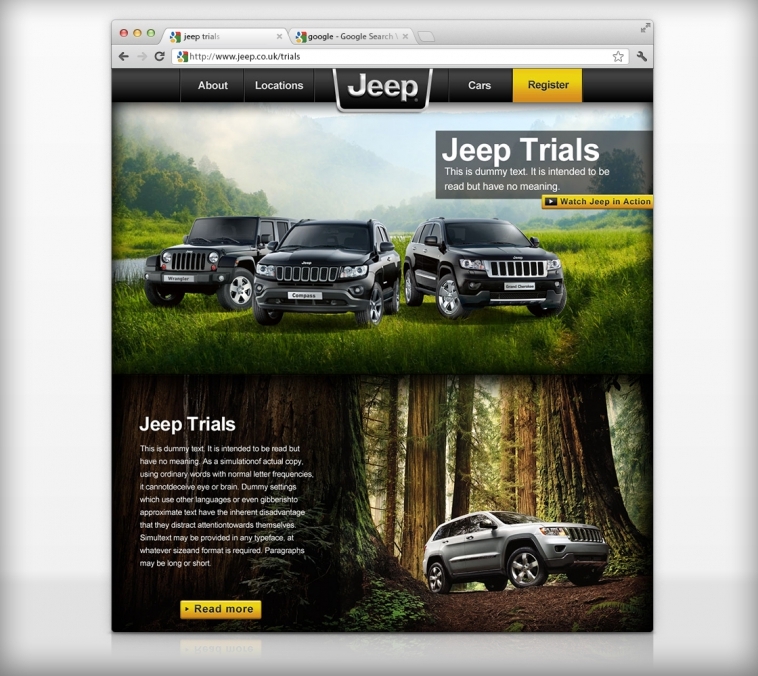 websites & apps for major brands. 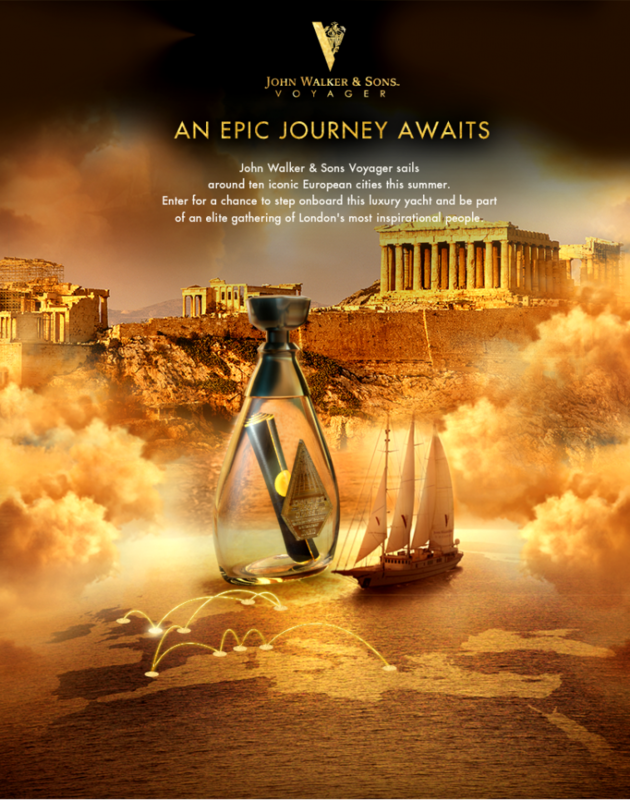 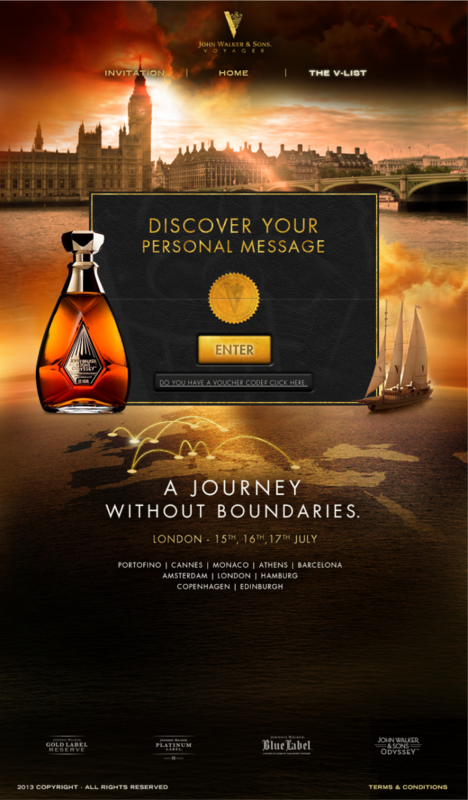 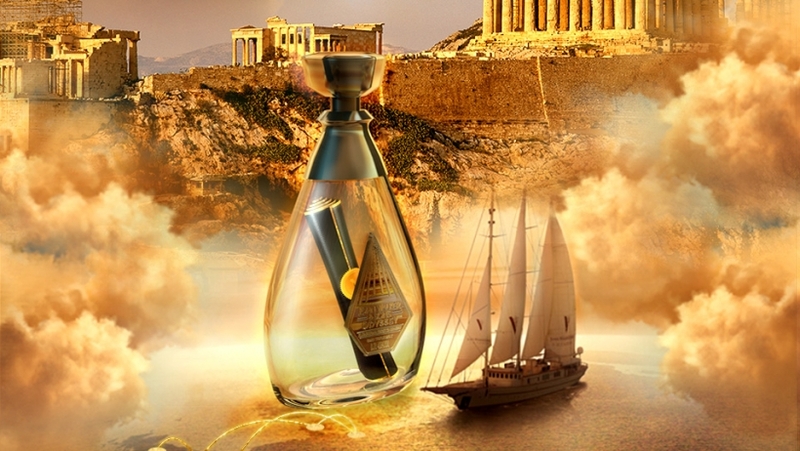 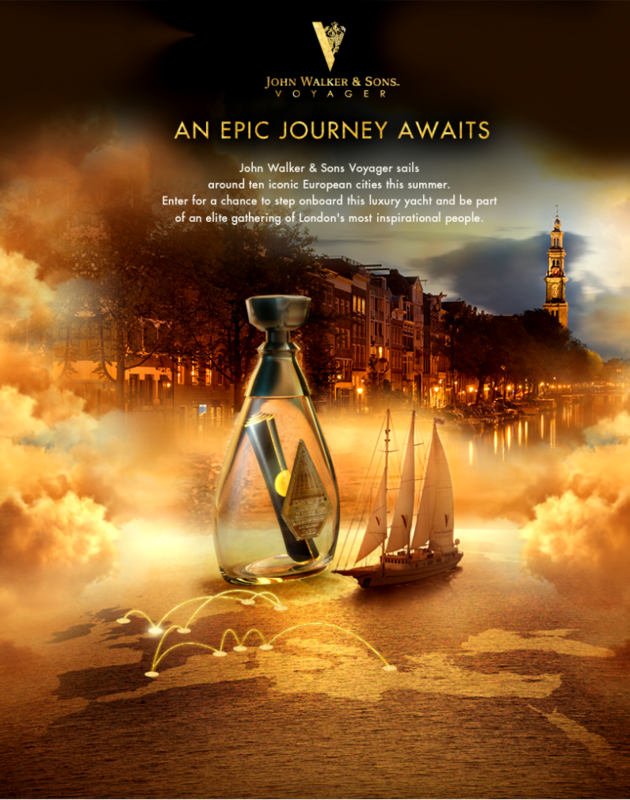 Johnnie Walker is sailing around Europe at the moment and is offering a chance to come on board and party with celebrities while sipping on a nice JW whisky. 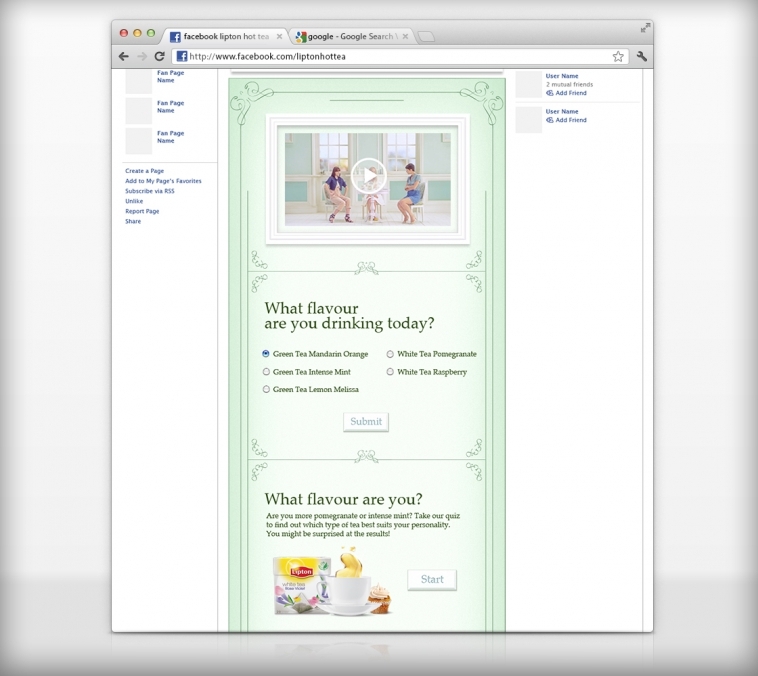 They needed a facebook app to collect the stories, votes & present the campaign. Users can submit their extraordinary story, get some votes from other member of the social media community and, if they’re lucky, win a invite to party on the boat with celebrities or a bottle of JW Odyssey (around £1000 a bottle). 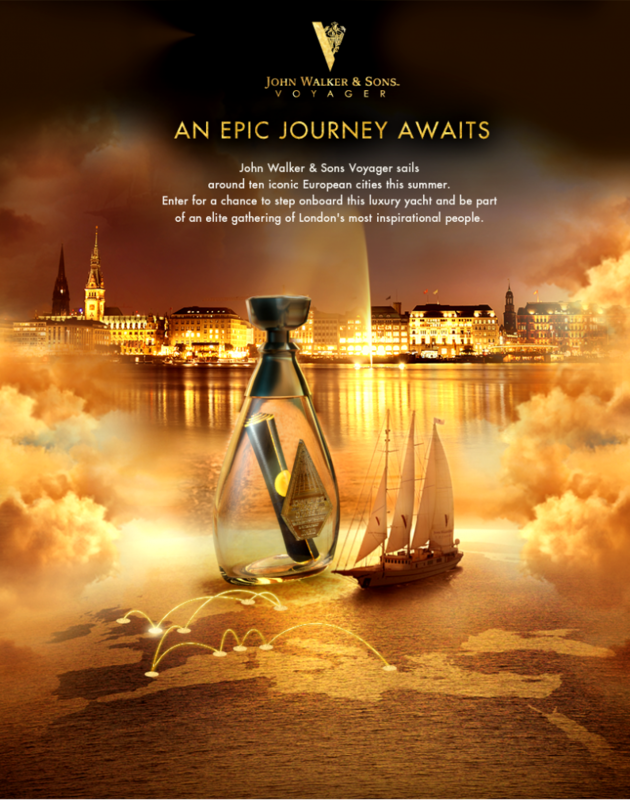 The boat destinations are Portofino, Cannes, Monaco, Athens, Barcelona, Amsterdam, London, Hamburg, Copenhagen & Edinburgh. 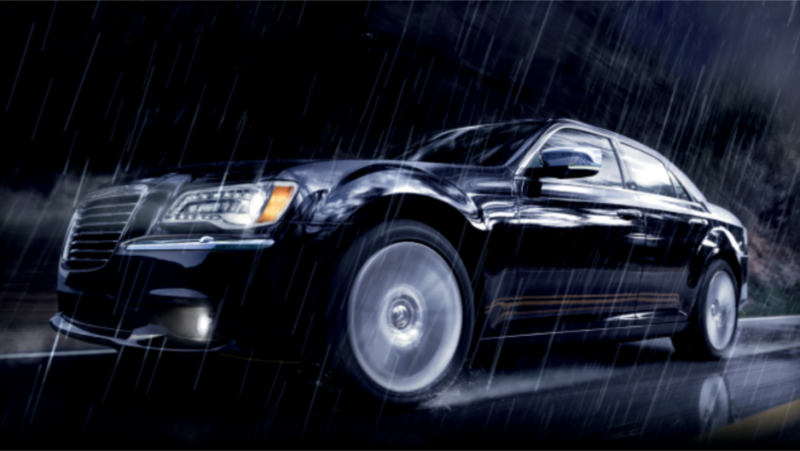 Role: Art direction, 3D modelling, artwork. 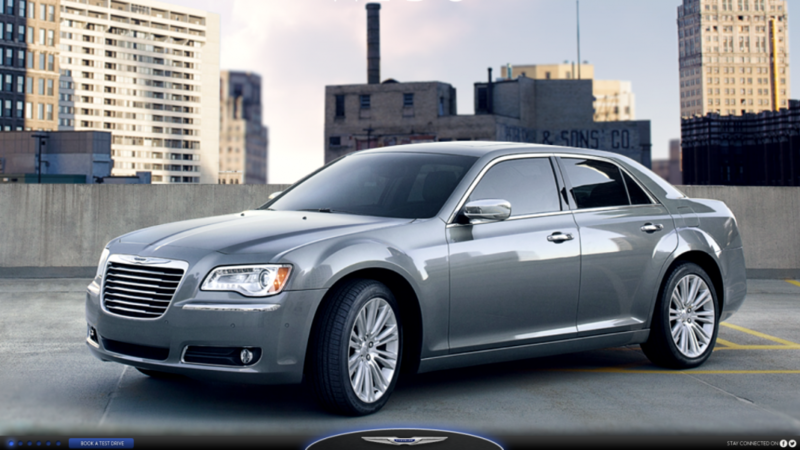 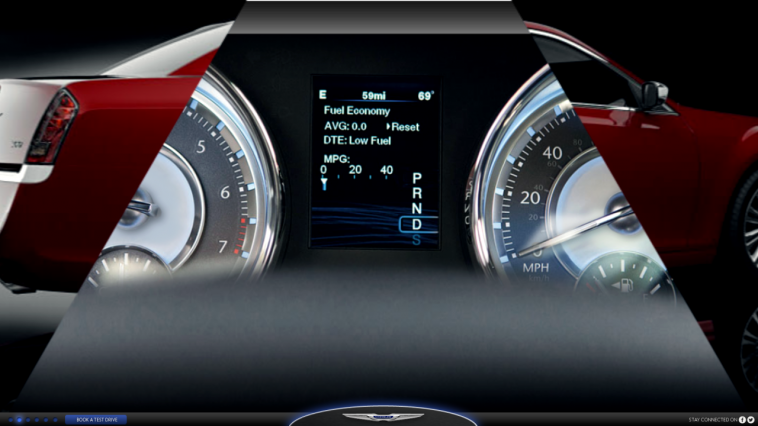 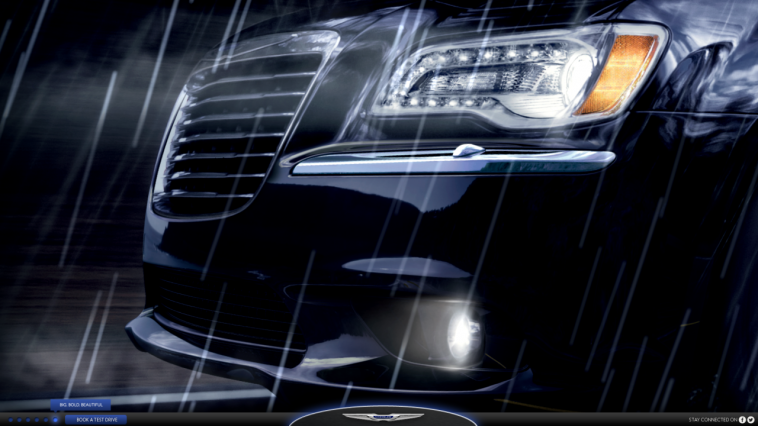 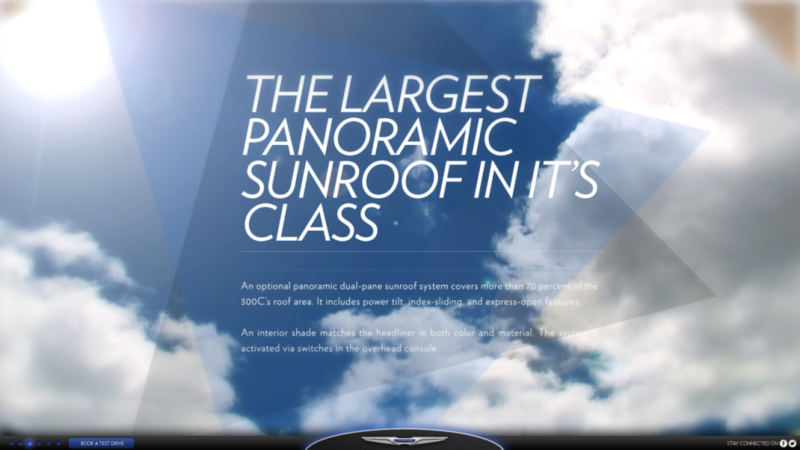 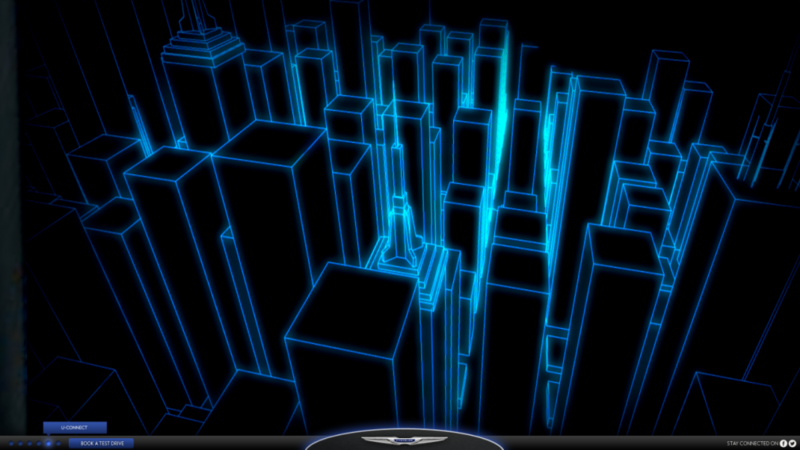 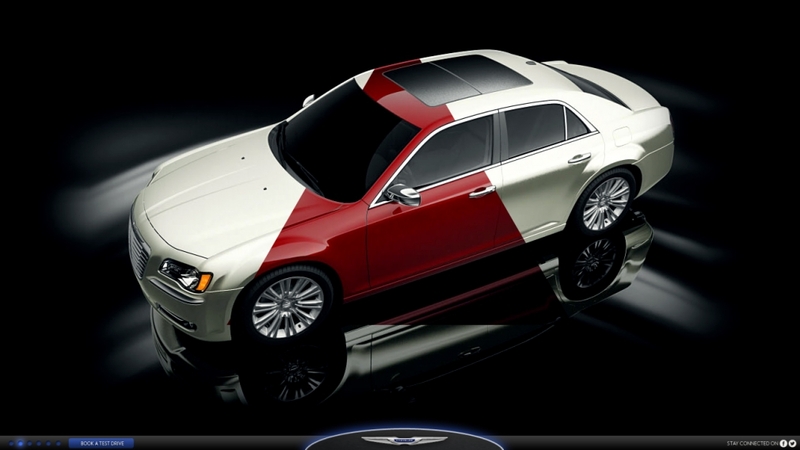 Promotional Website for the new Chrysler 300c. 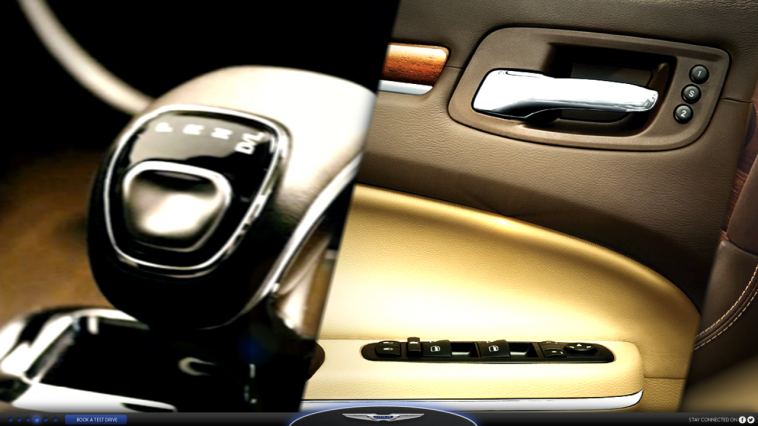 All the animation had to be done using only images as we couldn’t shoot anything. 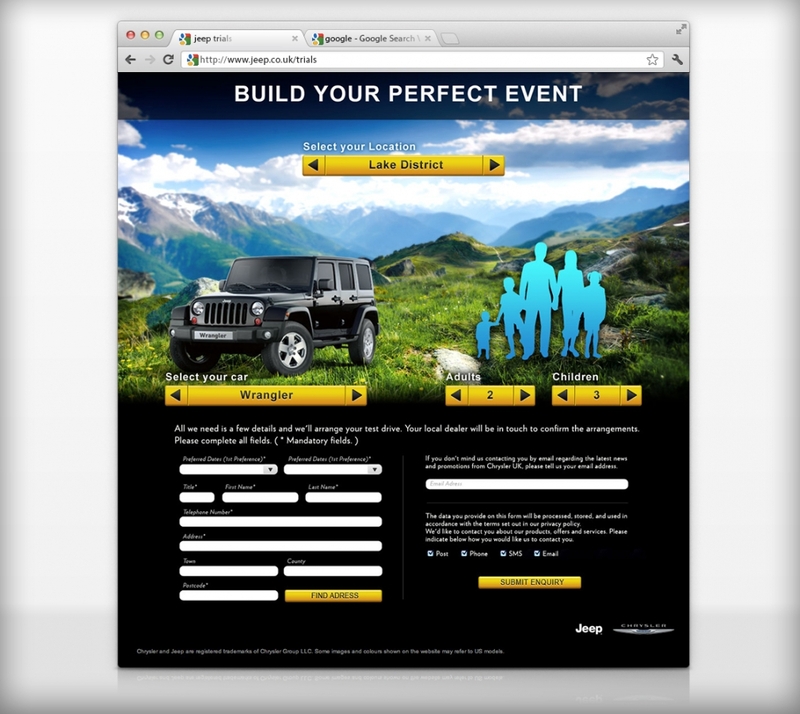 Jeep offered to the public a unique opportunity to test drive 3 of their cars in epic locations, with or without their family, for all day. 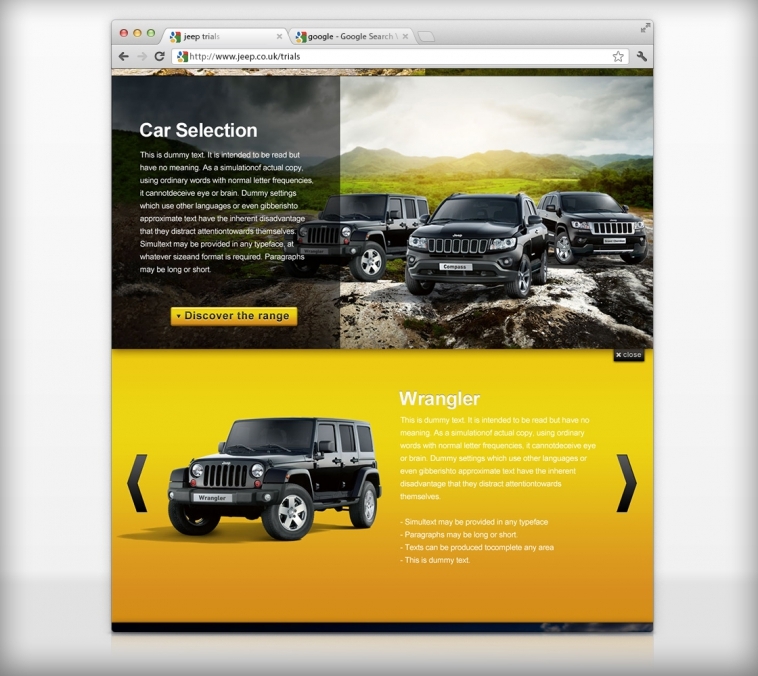 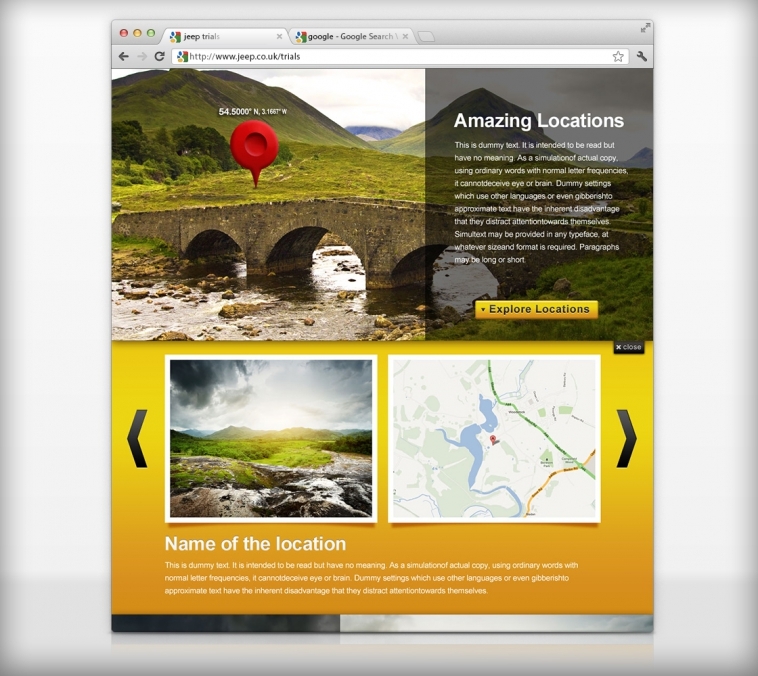 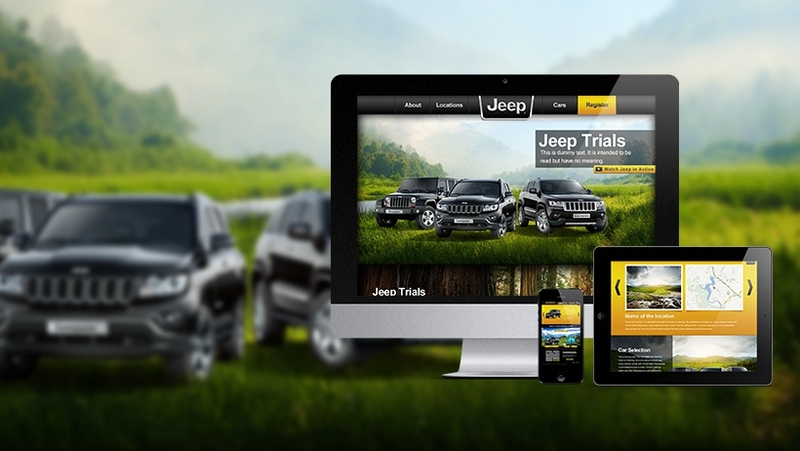 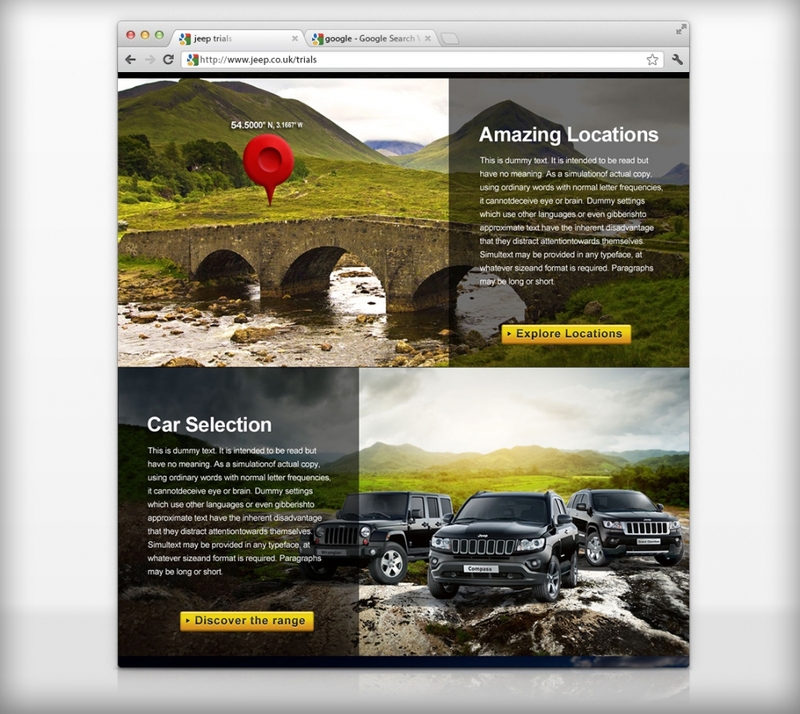 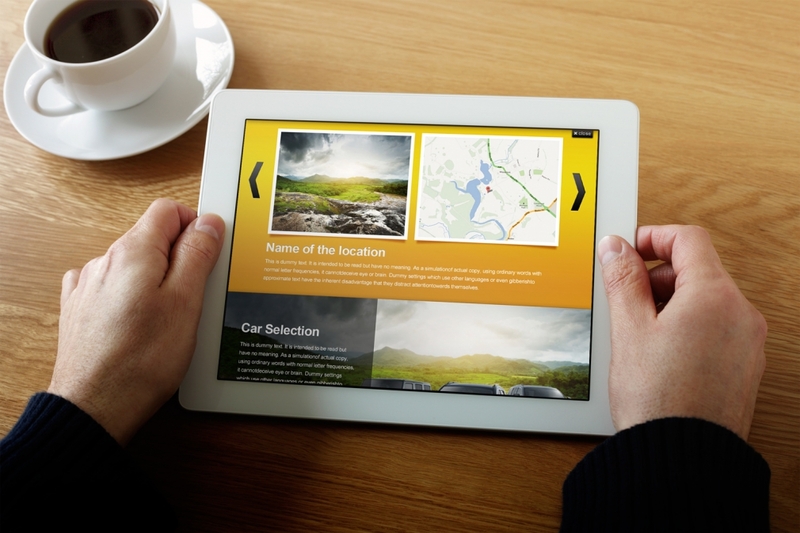 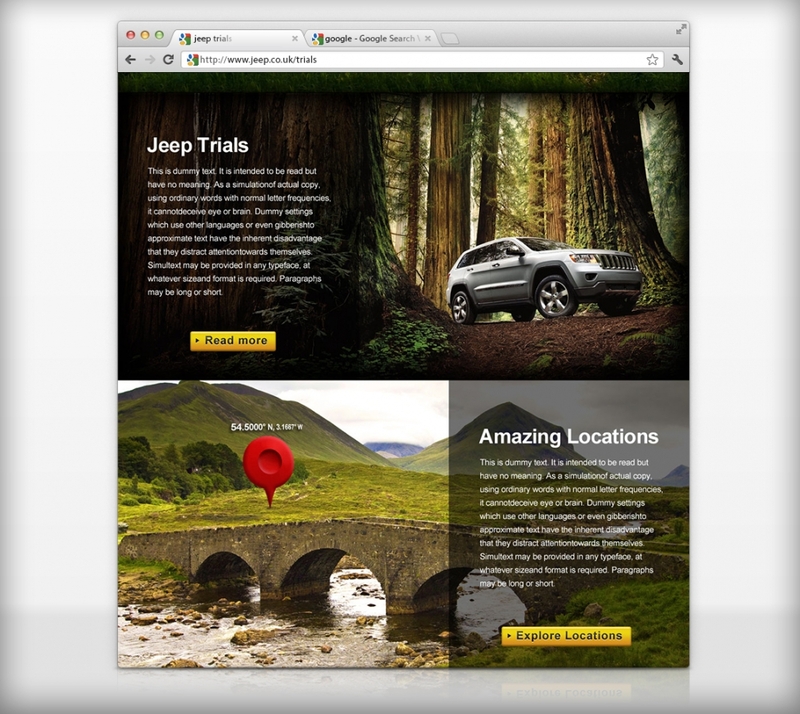 The website, which works on desktop, ipad and iphone, enabled the visitor to extend sections of the website to learn more about the cars and the locations. 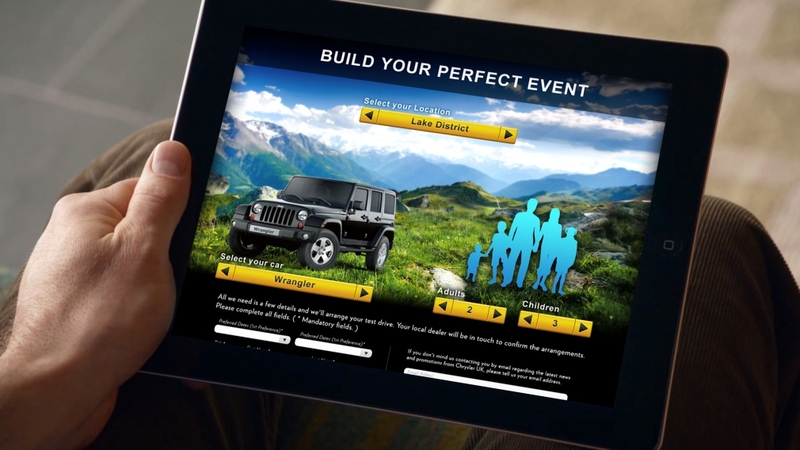 A friendly and graphic form let the visitor select the car, the location and the number of people. 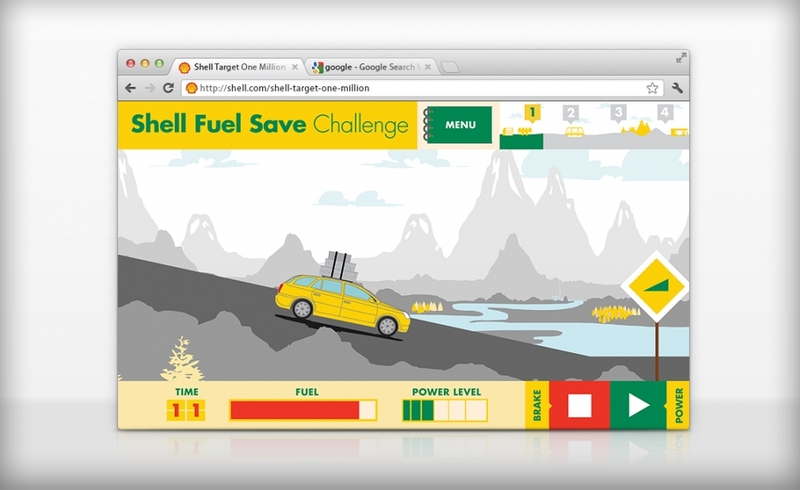 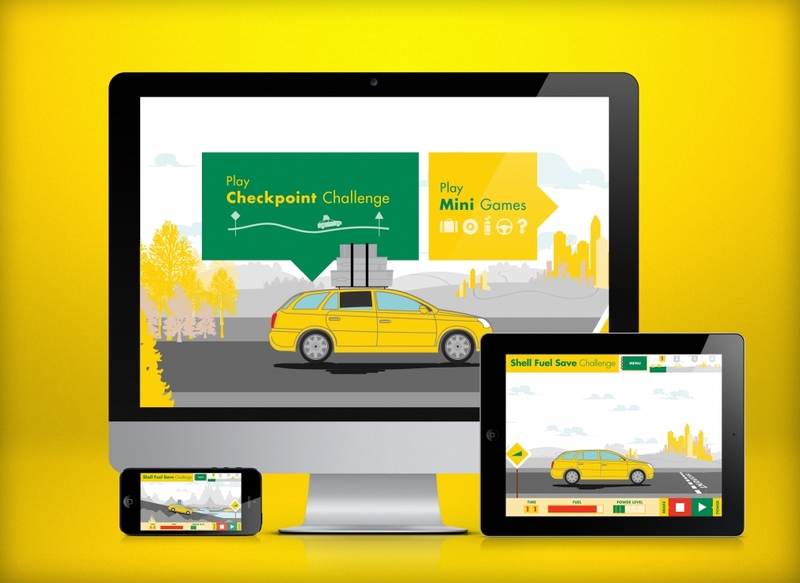 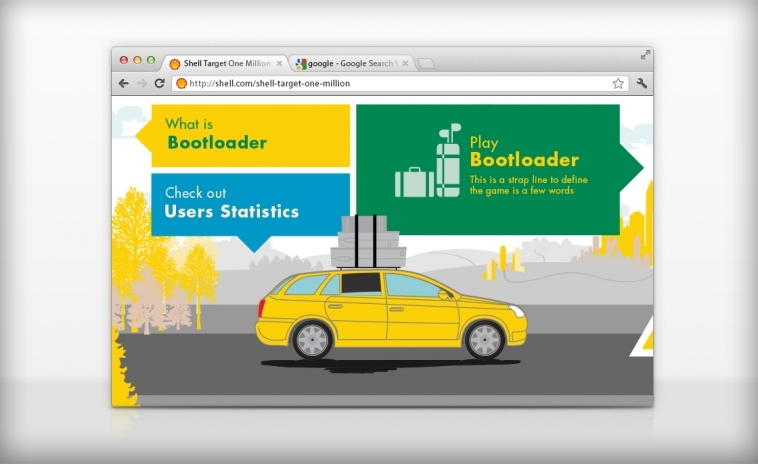 Shell Target One Million is an online game that works on multiple platforms; desktops, mobiles and tablets. 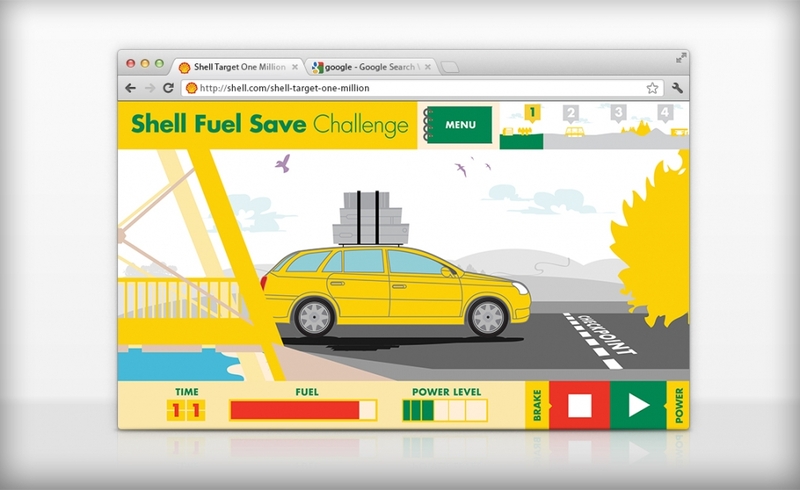 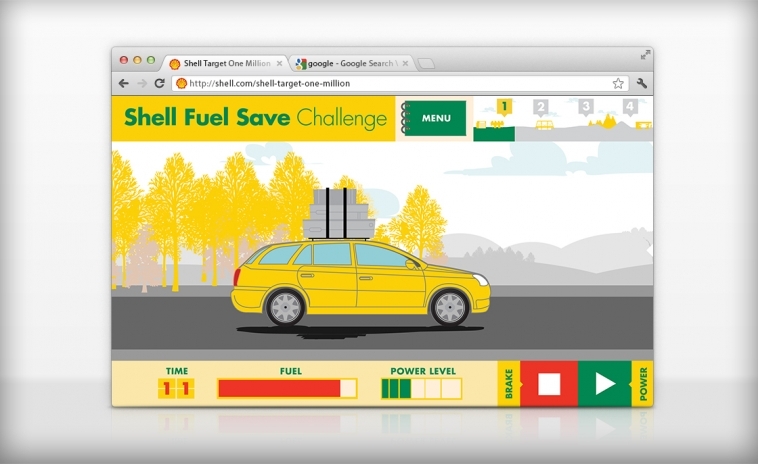 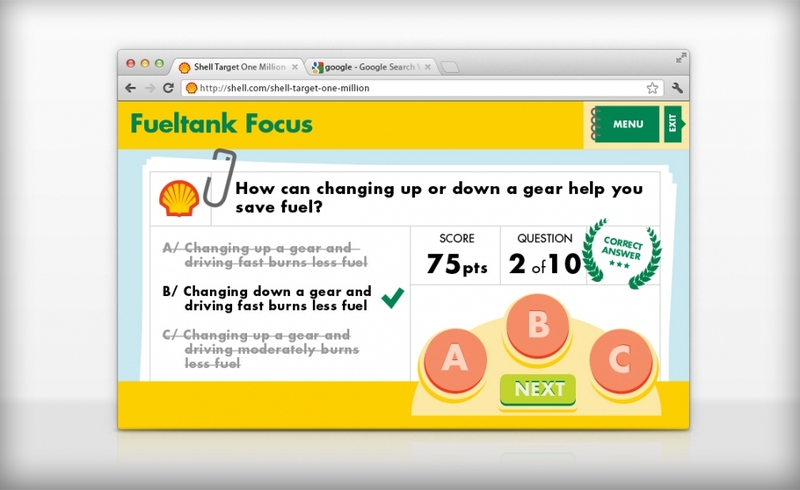 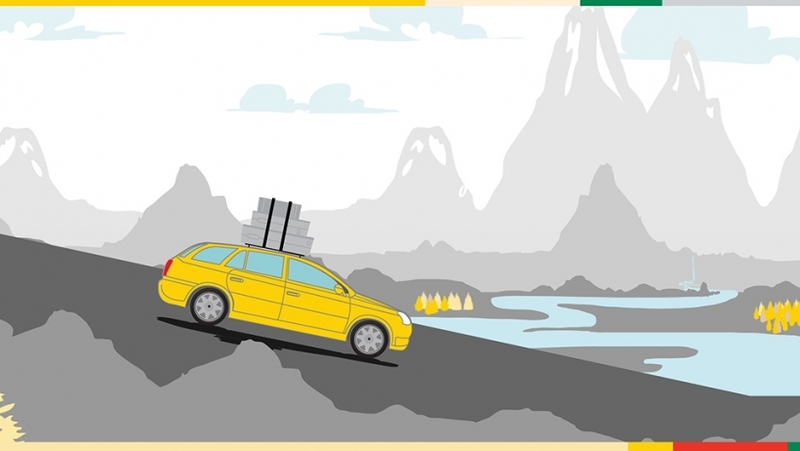 The aim of the game is to help people understand how and what they can do to be greener on the road. 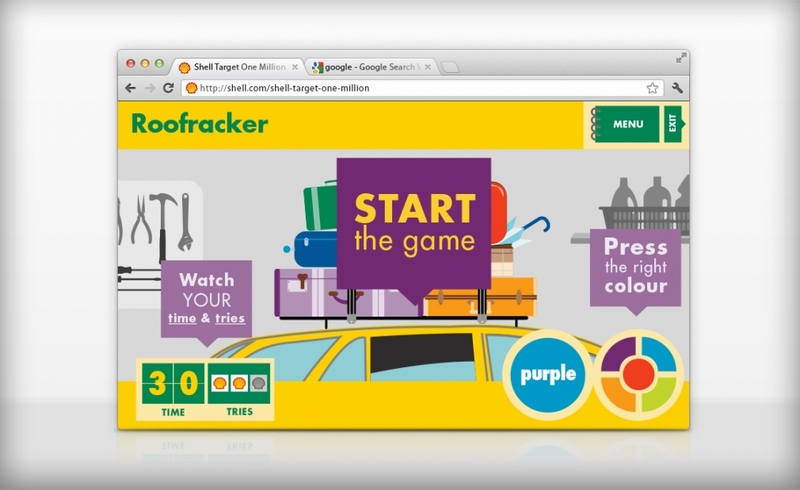 The project consist of one main Game called Target One Million and 5 mini games that will be released in a sequence. 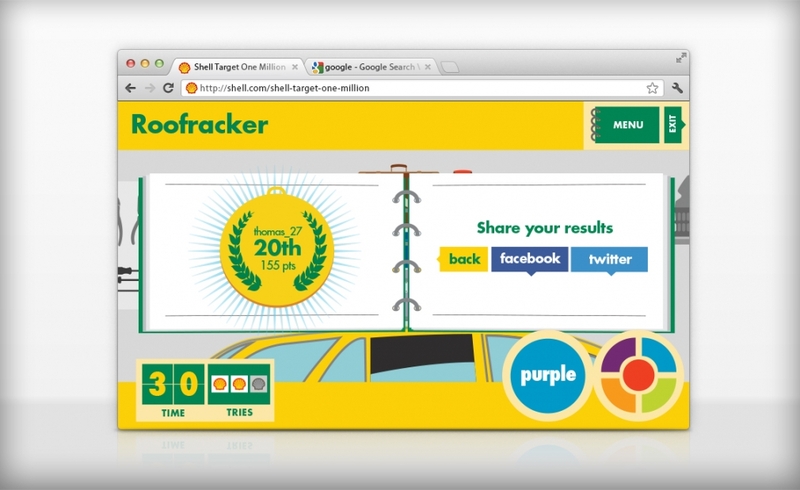 Why is it called “Target One Million”? 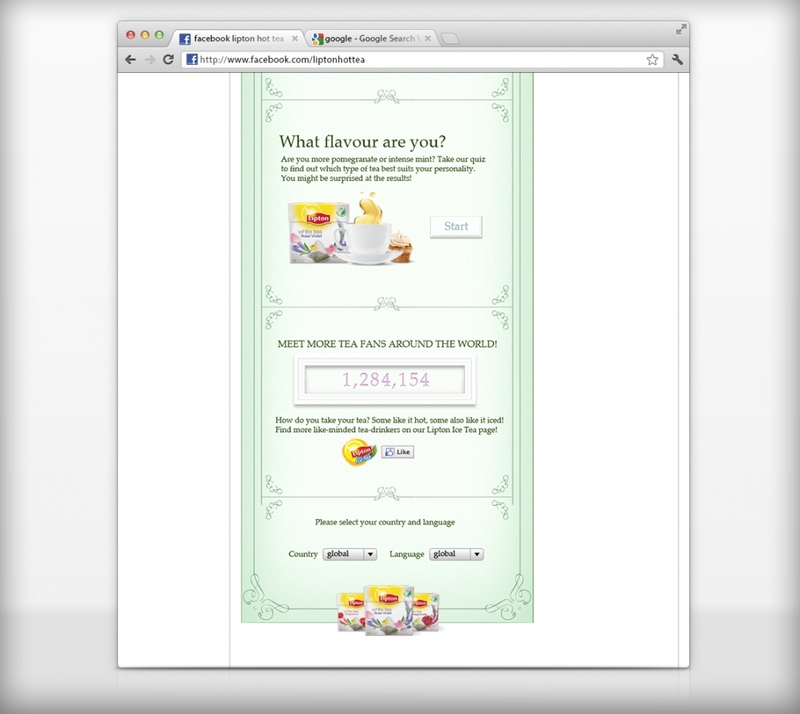 Because they want to reach one million people. 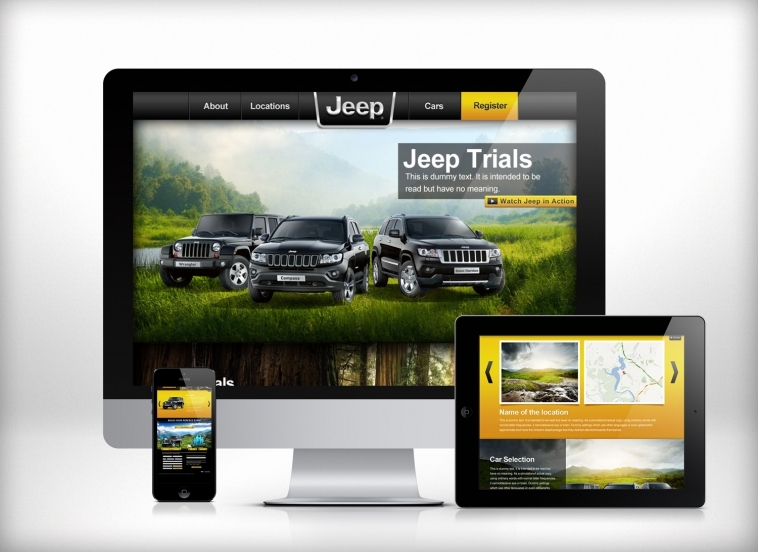 Role: Lead designer, illustration and artwork. 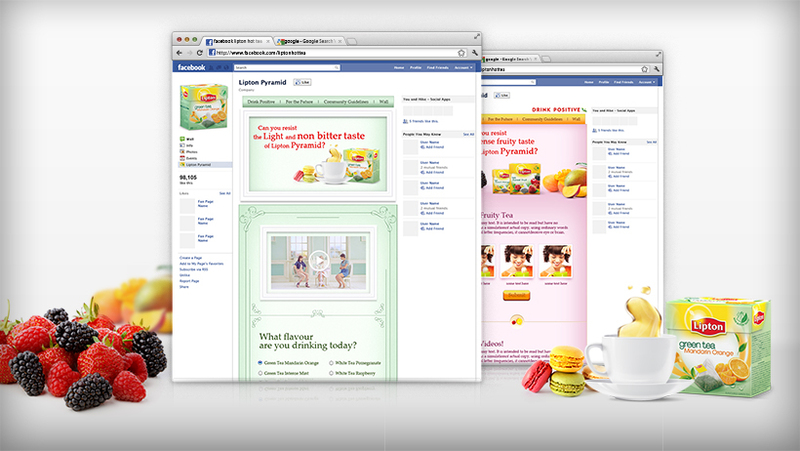 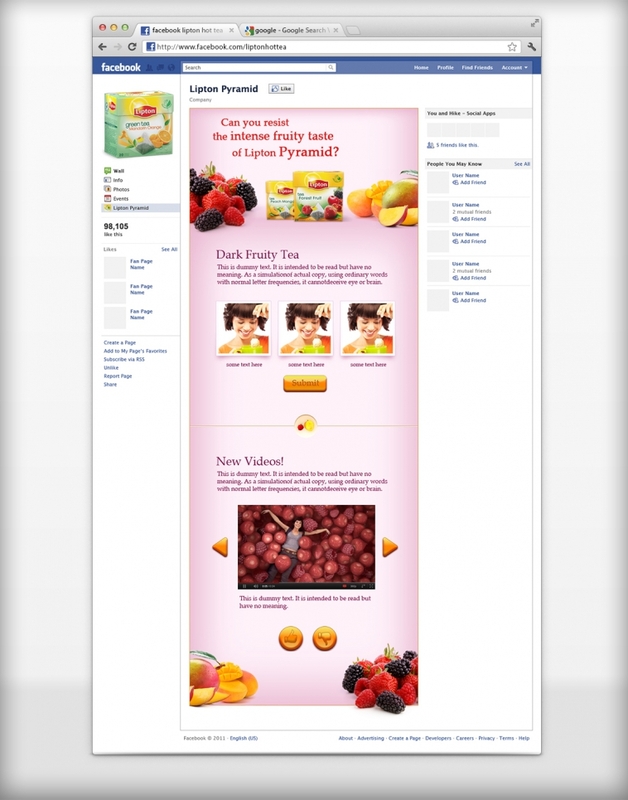 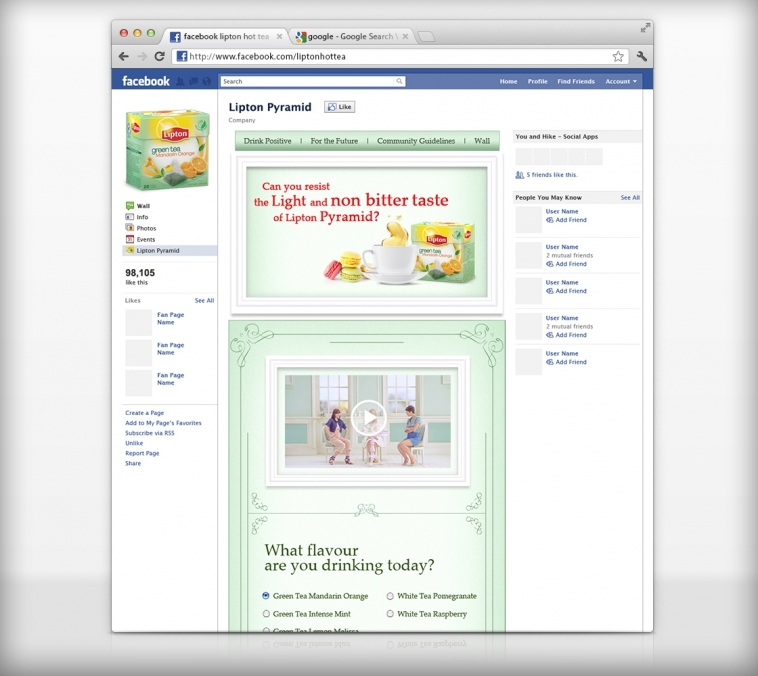 Two new facebook tabs for Lipton Hot Tea’s new Green, White & Fruity tea. 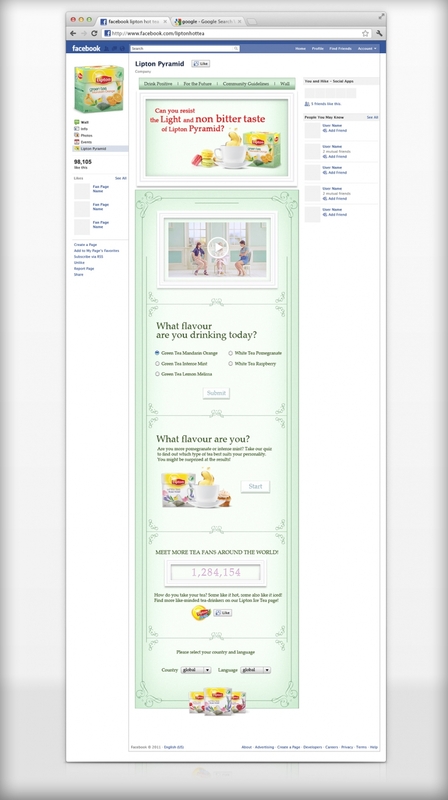 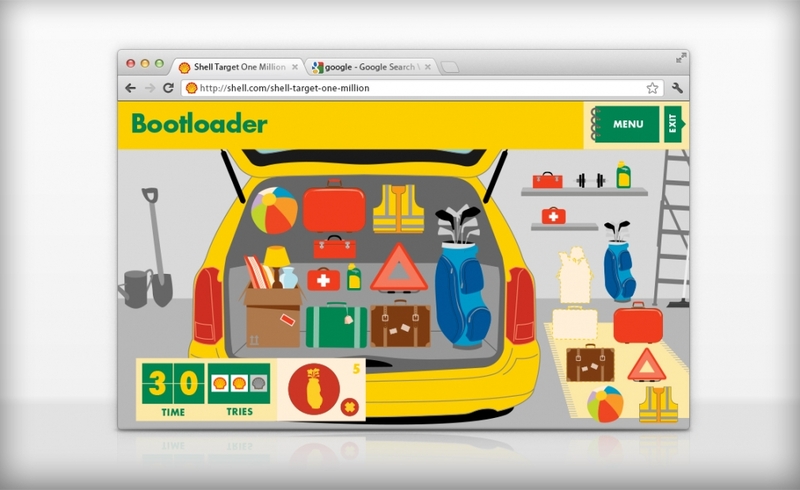 The tabs’ designs are based on the TV ad, the campaign and the product packaging.